When it comes to Heating, Ventilation, and Air Conditioning cleaning, there are several levels of the process that can be done. 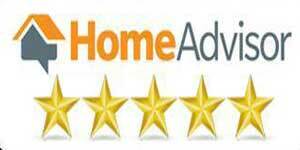 Some lesser qualified and cheaper services may do a poor quality job and give a homeowner or business a false sense of security. 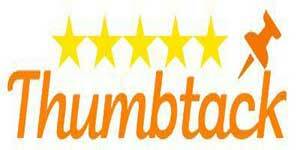 The tools needed to accomplish an excellent job are specialized for that purpose. They’ll remove all of the dirt, debris, dust, mold spores, and any other contaminant from the entire system. That will include the ducts and all other components where dirt can settle. Here are some of the reasons why you should have the service done, and how to find the right HVAC cleaning services level for your needs. The dust that settles in your system will slow the flow of air through every duct. 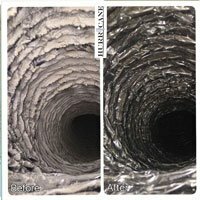 The filters especially need to be cleaned and replaced and all of the crevices and corners inside of your ducts as well. This will smooth out the airflow, and also prevent your system of ducts from acting as allergy center. People with allergies tend to be most allergic to mold spores, dust mites, and pollen. Mold spores can be sucked into and spread by your duct-work to contaminate the entire home. Some black mold spores are highly toxic, while others are just very irritating to those with allergies. Dust mites are another serious allergen, it’s not the mites themselves but their manure they leave behind that’s so bad. They feed on the organize matter that accumulates anywhere there’s dust and then multiply exponentially the more food there is to eat. Some people will sneeze non-stop as soon as they enter a home with dust mites. As far as organic matter, humans, cats, dogs, mice and other animals constantly slough off millions of dead skin cells daily. This is usually referred to as dander. This usually ends up in your vacuum cleaner bag, upholstered furniture, carpets and HVAC ducts. If you don’t want them flowing through your home, it’s best to have your ducts cleaned regularly to eliminate their food supply. Pollen tends to mostly be seasonal but if you have a serious problem in your area, you can prolong the pollen season with dirty air ducts. 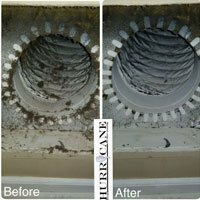 Cleaning your filters, ducts, and all other components of your system will prevent the pollen from being circulated constantly every time your furnace or central AC comes on. When the ducts are clean the air flows through them nearly effortlessly. That makes your furnace or air conditioner work less hard and increases their lifetimes. It also will reduce your normal energy bills associated with heating and cooling as well. In the long run, an efficient and clean system is better for the health of you and your family in addition to the longevity of your HVAC appliances. 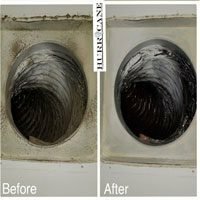 Unfortunately some homeowners actually never, ever clean their air ducts and for them, at least the first time, they’ll need a more thorough cleaning. The dirt and debris may need to actually be scrubbed in many areas to loosen it for removal. In that case a brush will have to be inserted into the ducts to get the job done. After a complete and thorough cleaning, then a regular maintenance cleaning is usually all that is needed. That is usually done by high powered commercial vacuums that have high-pressure air wands with long snakes that can crawl through the ducts. Most homes need this type of cleaning about every 2-3 years, more if you live on a gravel or dirt road, however. For commercial buildings, sometimes the amount of foot traffic necessitates more regular cleaning. Plus, there may also certain businesses that great more debris, like a hair salon, nail salon, spray painters, restaurants, and other businesses. 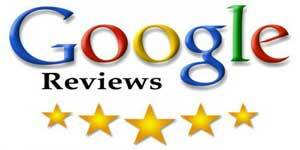 For them, HVAC cleaning services are more important and need to be done more often.